Adverblog is calling this new Lynx site a navigational disaster. We'd have to agree. Though, that didn't stop us from spending a few minutes checking out the girls and helping them was the dirt off themselves with a nifty mouse-controlled sponge. Yea, yea, yea. We know already. We're lame, easily amused and simple minded. But, hey, it's Friday and this is oh so apropos to the day. From the company GotThingsDone, which provides productivity tools, comes Follow the Oracle, a site on which you can "0btain all the answers to the typical questions of people involved in Project Management." Trouble is, the Oracle's an idiot and can't help you at all. So after a few minutes of idiocy, you can click your way over to GotThingsDone's project management tool, WhoDo and leave the idiot behind. - Drink plenty ... in a suit! - Carry a ... protractor? 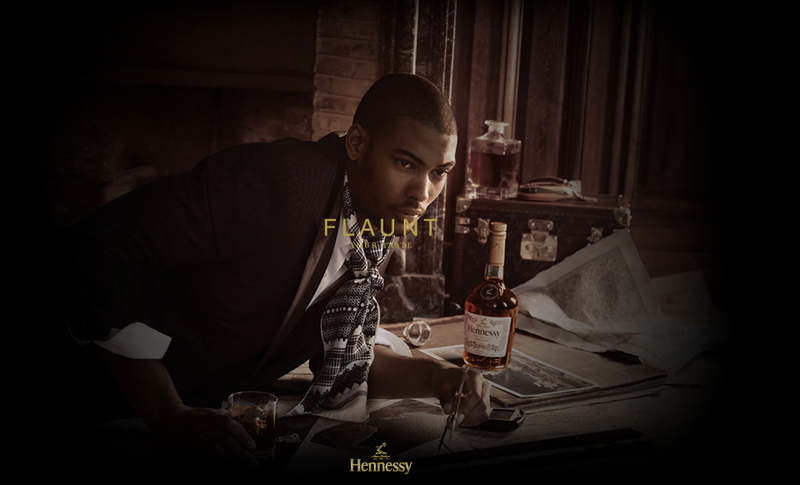 -- and possibly some old maps upon which to "protract"
Hennessy's launched a new campaign called Flaunt Your Taste alongside Pharrell, known for his beats that cost six figures. Original beats are hidden all over the microsite. The most amusing page by far is MANIFESTO, which is flanked by a classy-looking black dude holding a protractor. Random throwback to Ogilvy's eyepatch man? Maybe. If you've ever lost a street-side game of Three Card Monty, you probably don't want to play the Great Car Cover-Up. The object of the game is to examine three covered vehicles from all angles. One car is a convertible, one will turn heads and the other is a dud. Text your choice of car to a certain number for a small fee. This is part of Glue's effort to promote the RAC's £5 Car Data Check. The cars will be revealed on October 17th, and all profits go to a charity called Brake. This is a show that didn't quite make it to TV land, so it's airing on MySpace and launching a social network instead. Users will be able to affect the show's plot (possibly, says MarketingVox) and get some professional networking and job help. Though we're pretty sure that if the network flies at all, people are overwhelmingly just going to meet up to drink, sob about their confusion and hook up. 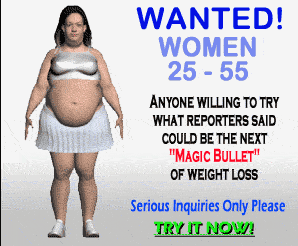 Actually, Craigslist probably fills both those roles pretty nicely. Catch vestiges of all the self-entitled angst at Quarterlife.com. It debuts on November 11th, and you can blame producers Marshall Herskovitz and Edward Zwick. We just caught a glimpse of Target's new back-to-school ad. It falls under the tagline "Brave new dorm," which made us think of Brave New World, which gave us chills, which only worsened with thoughts of Target's size and omnipresence (New York is still slathered with Hello, Goodbuy. Why, Target, why?). In any case, it goes without saying that Target knows how to get your head bopping. Now if only dorm rooms were actually that size. 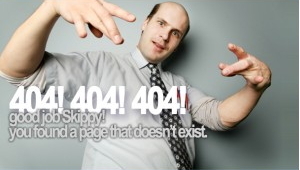 Speaking of 404 pages, check out Smashing Magazine's compilation of error message remixes. You're probably thinking, "Sitting around revising a 404 page is inexplicably geeky and lame." Fair enough. But honestly, we wouldn't mind getting lost if we could find an easter egg once in awhile. The people that bother redesigning error messages are probably the same species that lifted us out of the MS-DOS, type-in-command days.